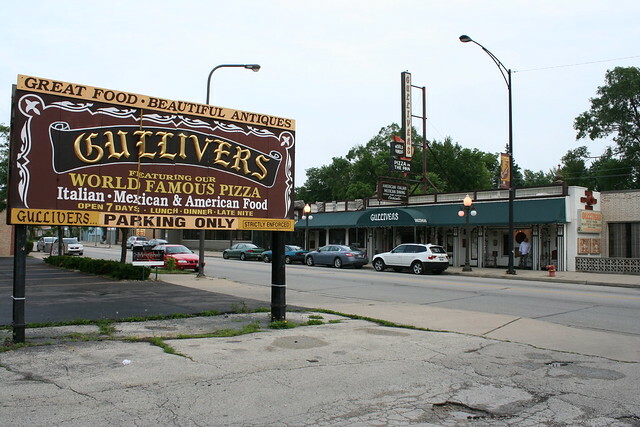 An early discovery in my time in Chicago – probably before I even lived there – was Gulliver’s Pizza (2727 W. Howard Street, Chicago), just across the border from Evanston. Gulliver’s lets you know something’s going on before you even walk in the door. 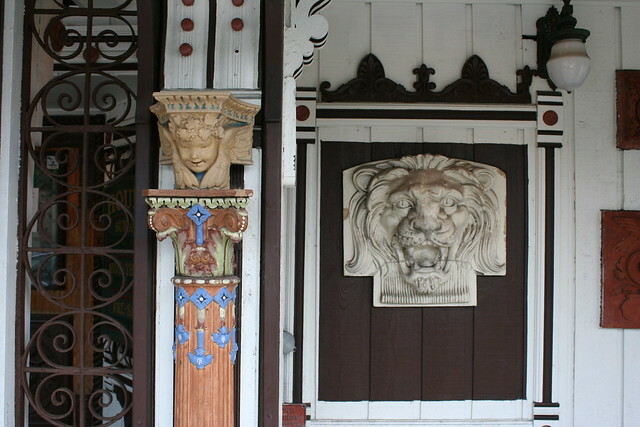 The front facade of this totally ordinary one-story building is festooned with architectural ornament of all kinds – sculptures, brackets, ironwork, lamps, columns, and more. 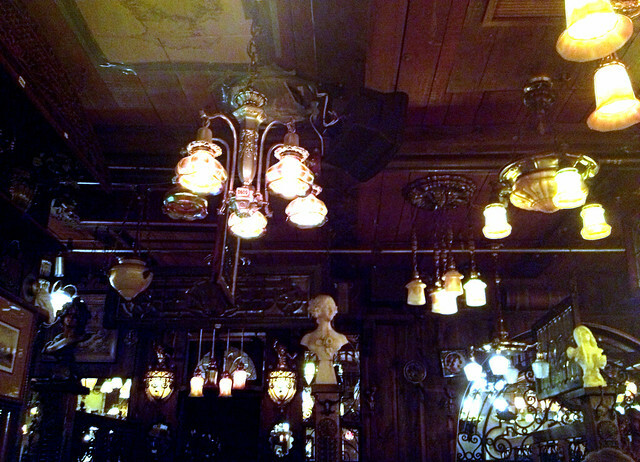 Inside, the place is a riot of lamps and woodwork. 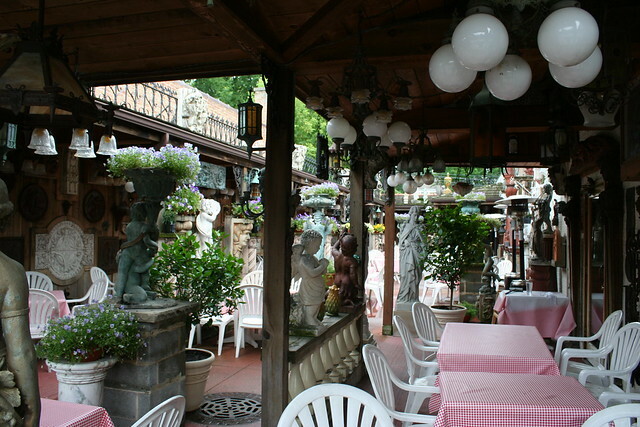 Gulliver’s opened in 1965 as a partnership between restauranteers Jerry Freeman and Burt Katz. The name came from Katz’s affection for the classic novel Gulliver’s Travels. The independent-minded Katz soon left, starting a series of other pizza joints around town (with likewise literary-themed names). Freeman stayed and grew the business, expanding into the storefronts next door as they became available. 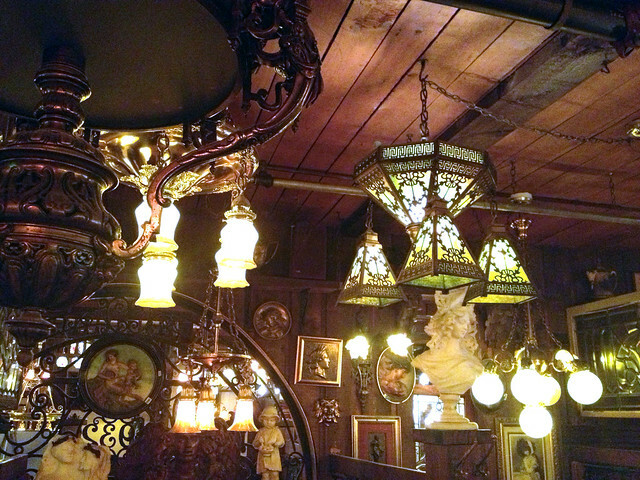 The architecture bits come from the late owner’s collecting habits, as I was told by the staff, and were obtained from antique shops as well as buildings slated for demolition. Mr. Freeman passed away in 2006, but Gullivers continues to this day. 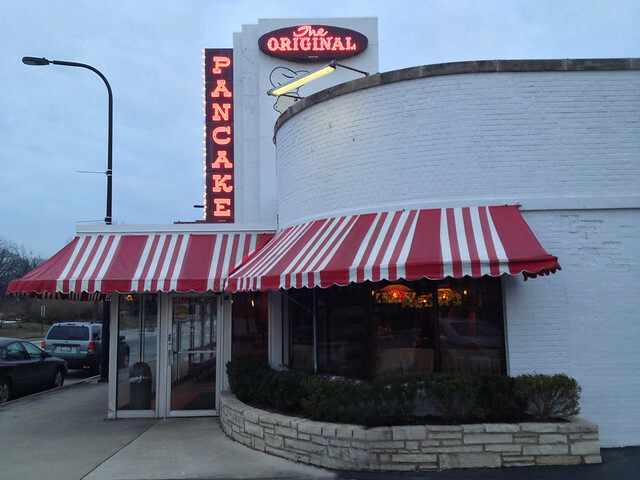 An all-too-late discovery, coming only in my last year or so in the city, was Walker Brothers Original Pancake House (153 Green Bay Road, Wilmette IL). Walker Brothers is a Chicago institution, the kind of restaurant that always has a line out the door on weekend mornings. 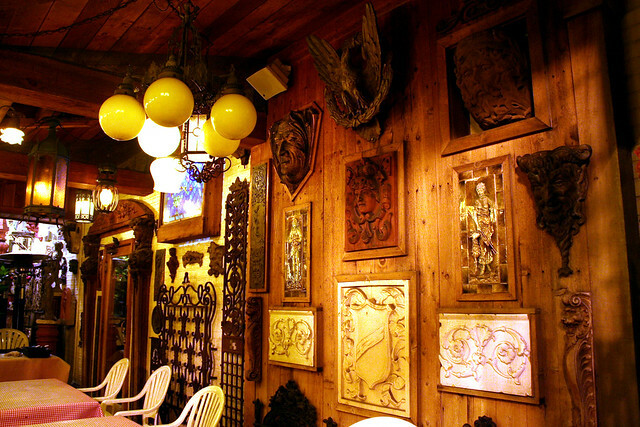 That line moves quickly, though, and once you’re in you’ll be treated to mountains of comfort food, fresh squeezed orange juice, and a stunning interior. 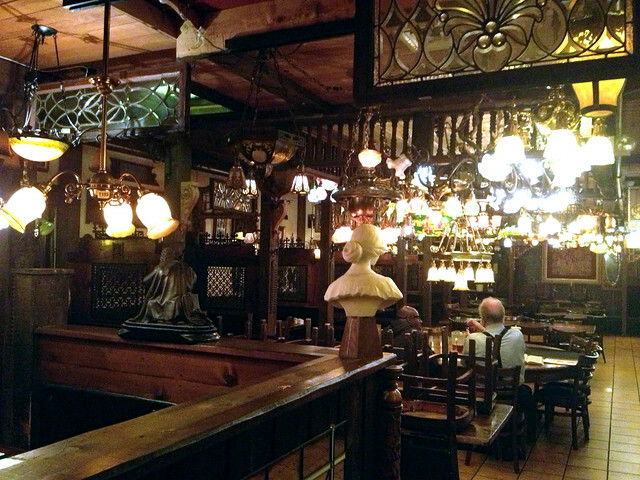 While Gulliver’s goes for the overwhelming look of an antique shop, Walker Brothers has a more refined if not restrained aesthetic. 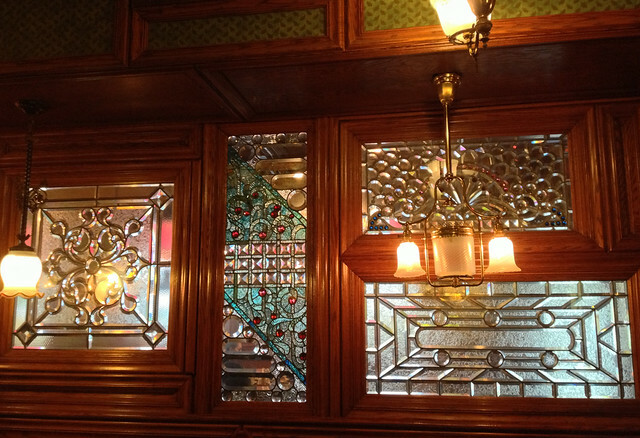 Wood and stained glass panels separate rooms and diners. 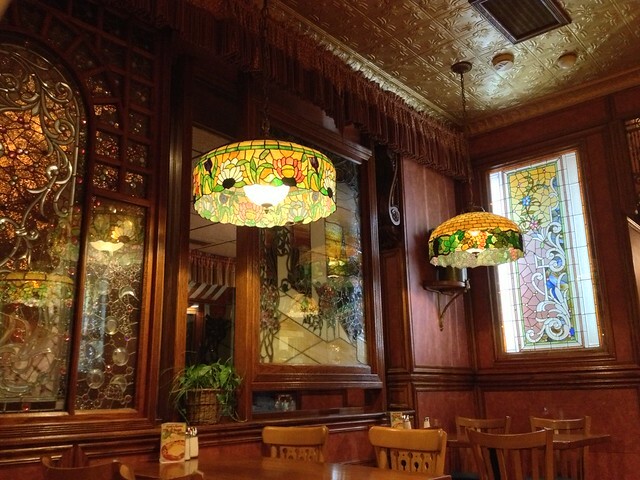 There is a unified emphasis on an early 1900s Arts and Crafts style. It is claimed around the internet that the look dates to the filming of the 1980 Robert Redford flick Ordinary People at the location. 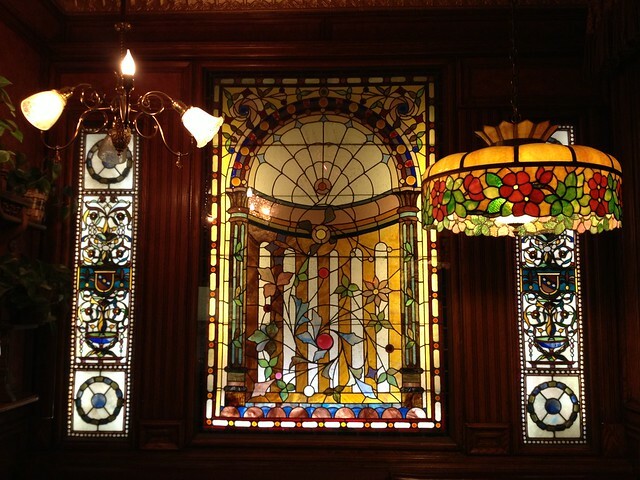 Certainly not all the stained glass is vintage, though much of it is, if not of verifiable heritage. In common with Gulliver’s, no info on the history of individual pieces is available. 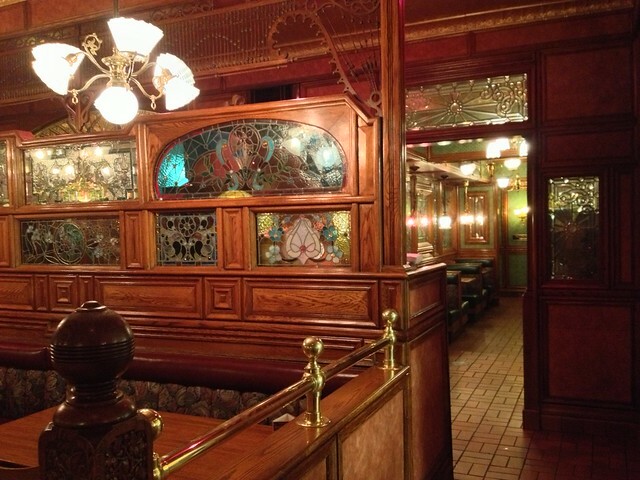 Ironically for a “Chicago institution”, Walker Brothers is actually a franchise restaurant. 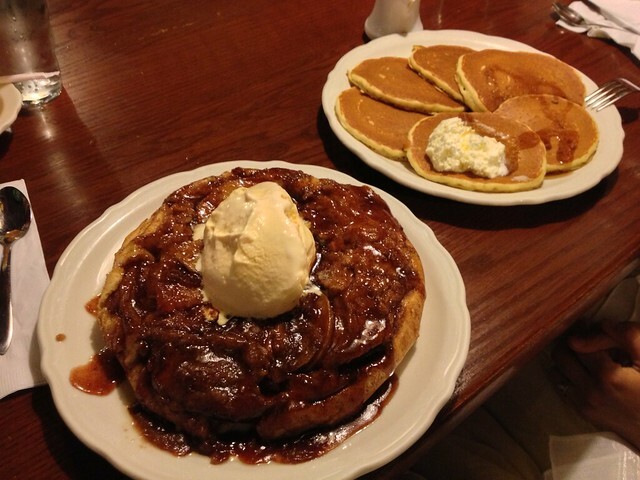 Opened in 1960, the restaurant combined the local Walker Brothers Snack Shop name with Portland, Oregon’s Original Pancake House chain. This was back in the days when franchise outlets were allowed to have a bit more personality; there was also a Walker Brothers Kentucky Fried Chicken. 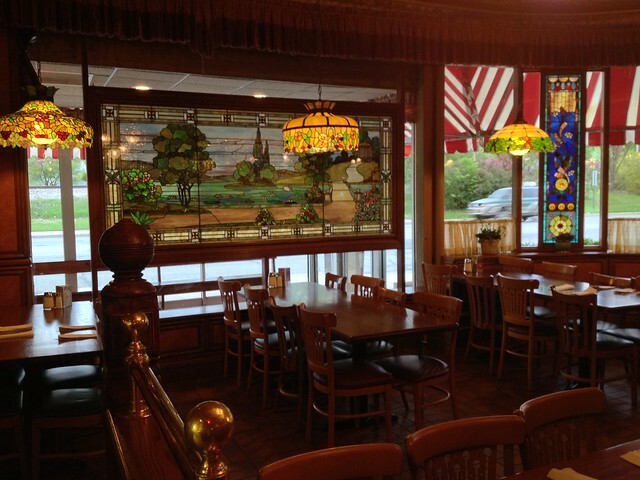 Today, the pancake house is one of over 100 “Original Pancake Houses” around the country, but still a unique place, beloved by thousands. 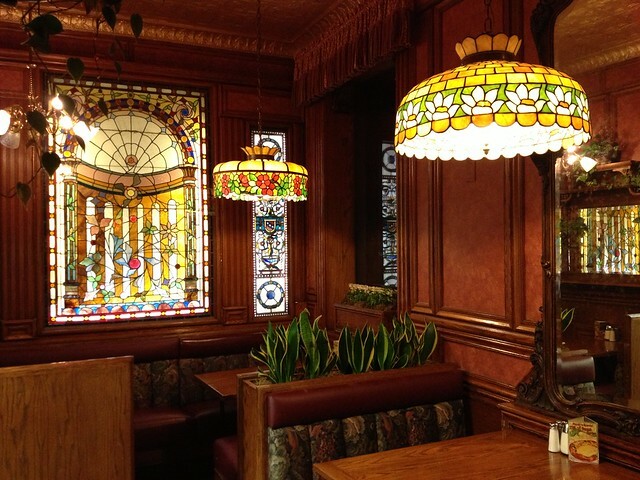 Locals Phil Donahue and Bill Murray have been among its repeat customers. 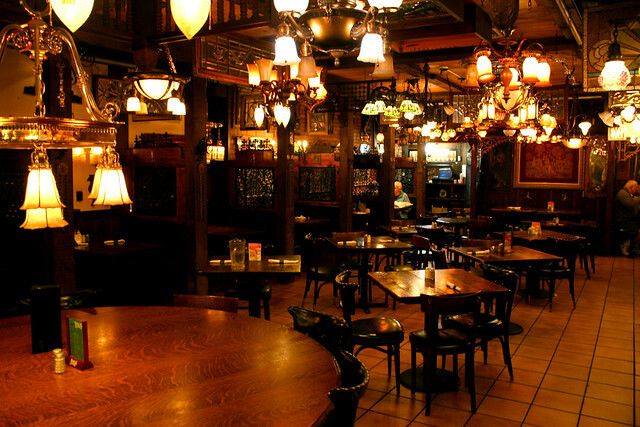 This is certainly the first time – and likely the last – that you will find food on this blog. It’s just too good to leave out. Careful, though. You’ll have a heart attack just looking at it. 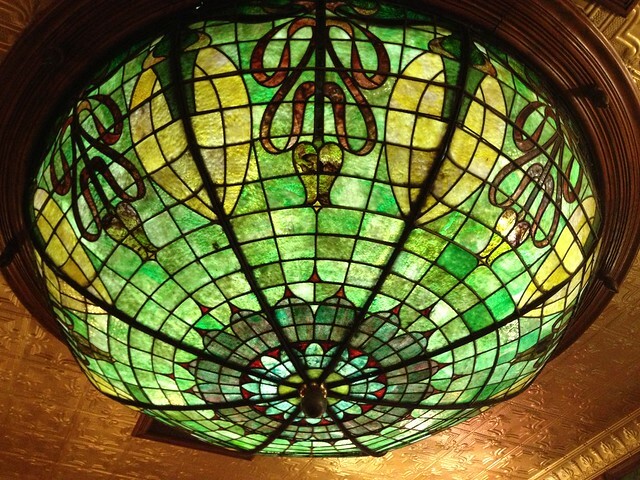 This entry was posted in Architectural Ornament and Materials, Life in Chicago, North Shore, Stained Glass. Bookmark the permalink. 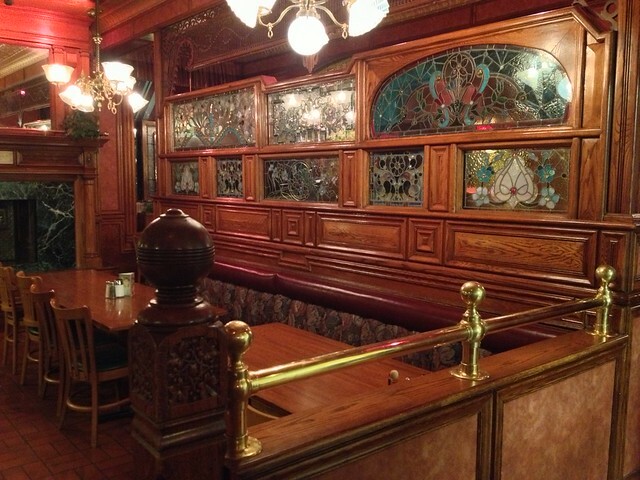 I read someplace that the Walker Bros. building originally housed Knott’s or Nott’s ice cream parlor. 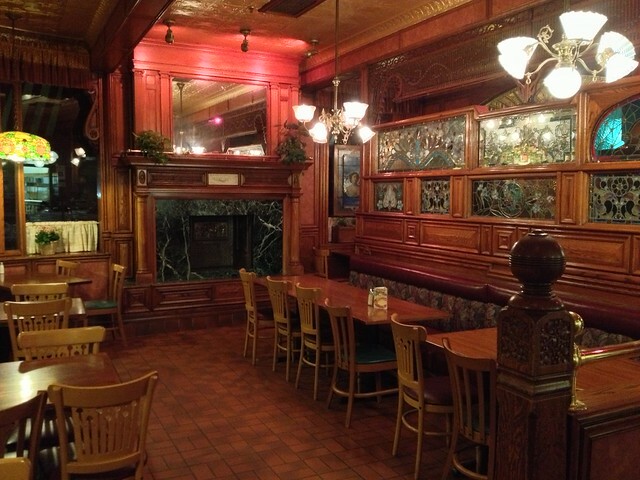 Does anyone remember the Gulliver’s on Milwaukee at Dempster in Niles? 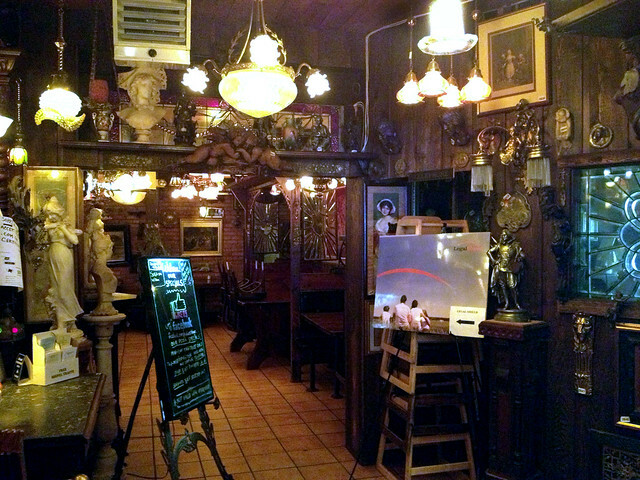 I used to go there in the mid 1970’s and 1980’s. 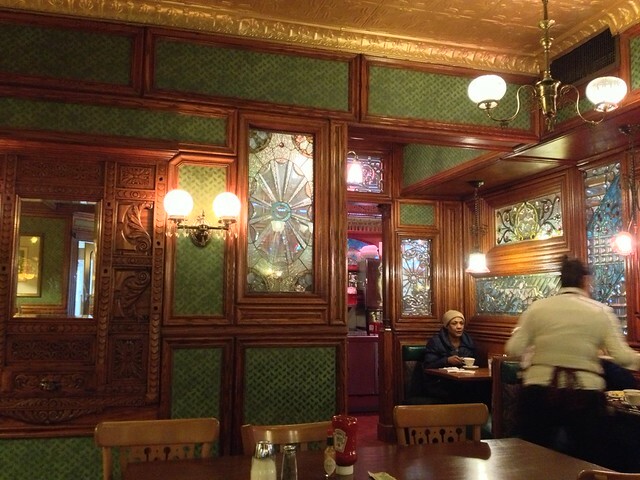 The inside looked basically the same as the one on Howard St. I believed they closed around 1990.